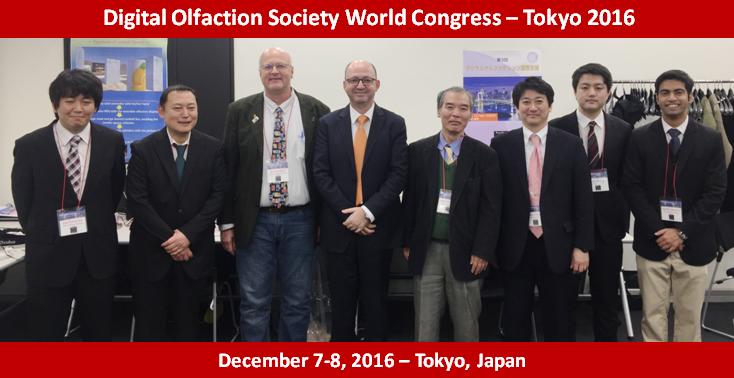 The 3rd World Congress of the Digital Olfaction Society was held in Tokyo on December 7-8, 2016. 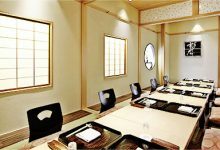 This third edition was a huge success gathering around 70 attendees coming from academics but also industries. 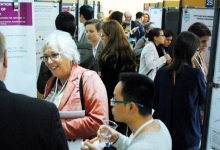 Pictures of DOS 2016 of the congress are available by clicking here. To access the final program of the congress, please click here. 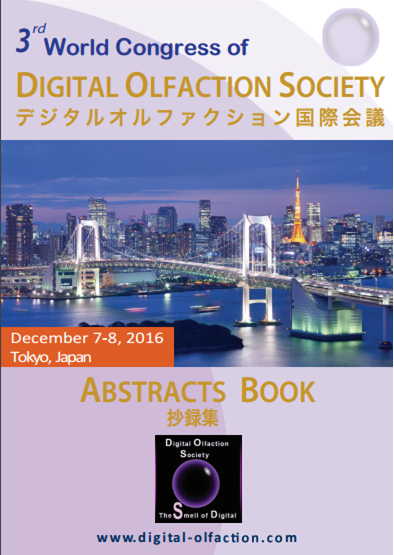 The abstracts book of Tokyo DOS 2016 is available in PDF version. You have not participated to the congress? You can order the abstracts book by clicking here.